Mumbai to Mumbai tour’ Guests will meet at Chatrapati Shivaji International Airport, Mumbai as per the scheduled flight departure time and proceed to Hong Kong. ‘Joining and leaving tour’ guests will meet the group as per their Convenience, directly at Hong Kong Airport / Lunch restaurant/ Hong Kong hotel according to the group schedule. Today we enjoy orientation tour of Hong Kong city wherein we pass by Harbour Tunnel, Repulse Bay, Victoria Peak, Enjoy the spectacular view of the city from The Sky Terrace 428. And visit Madame Tussaud's wax museum. Today is the day of full of excitement, entertainment as we visit amazing Disneyland Hong Kong. Experience the biggest new attraction Toy story land, watch famous Disney character perform at Golden Mickeys – A musical show at Fantasy Land, pilot your own spaceship as we fly in the sky at Tomorrow Land, travel into an exotic world of forest on a jungle boat at Adventure land. Travel back in time as we stroll in the streets and ride in the old fashioned vehicles at Main Street USA. Enjoy the marvellous Parade and Fireworks Display. Today we proceed to Macau by jet foil. 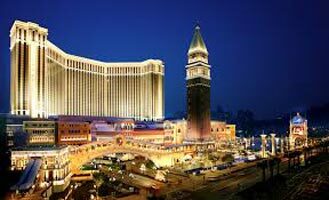 On arrival we visit Grand Prix Museum and Wine Museum followed by city orientation tour of Macau which includes, Statue of Goddess of mercy, St. Paul Cathedral, Penha Hill, Barrier Gate, then enjoy spectacular view of the city from Macau Tower observatory Deck. 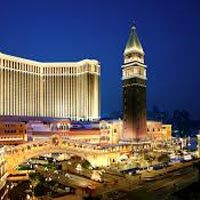 Later visit famous Casino – Le Venetian. Tonight we explore the Luxurious ‘The Venetian’. Today we proceed to Shenzhen by Jetfoil. In the evening we have some free time for shopping at Lahu Market. Today we Visit OCT East (Overseas China Town) The national ecological resort, we visit Knight Valley, Tea Stream Valley also enjoy Tea Show and Wind Valley. Breakfast Around 10:00 Meat At Hotel Lobby & SIC to Hollywood Hotel 1st Day Disneyland Pass. Enjoy buffet breakfast at the hotel. Today you will be picked from your Hotel lobby and transferred to the airport for your onward flight back Home. Return home with wonderful memories.